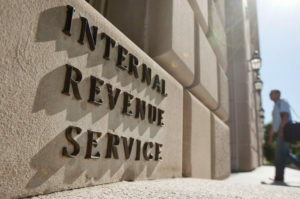 Employees at the IRS’s Cincinnati office said that the agency “deliberately” delayed processing Tea Party tax exemption applications until after the 2012 presidential election, Judicial Watch reported on Aug. 1. According to 105 pages of newly obtained FBI “302” documents, interviews with numerous Cincinnati IRS employees in mid-2013 show that “Tea Party” group applications “were automatically denied approval and assigned to a special ‘Group 7822’ for an extended ‘inventory’ process while waiting for decisions” from IRS headquarters in Washington, D.C.
FBI “302” documents are detailed narratives of FBI investigation interviews. The Obama Justice Department and FBI investigations into the Obama IRS scandal resulted in no criminal charges. Related: ‘Smoking-gun documents’ show IRS knew about targeting of conservatives before 2012 election, July 29, 2016. Judicial Watch previously released 294 pages of FBI 302 documents revealing that top Washington IRS officials, including Lois Lerner, who was interviewed in June 2013 and again in October 2013, knew that the agency was specifically targeting Tea Party and other conservative organizations two full years before disclosing it to Congress and the public.